Any defective compatible inkjet cartridges can be replaced within 365 days of purchase. Any defective remanufactured inkjet cartridges can be replaced within 30 days of purchase. Simply contact us with your invoice number and cartridge problem. Faulty cartridges can be refunded within 7 days of purchase only under the condition the cartridge is still accompanied by all packaging with an acquired RMA#. Refunds will not be given to any opened cartridges after 7 days of purchase. Any customer returning goods which are found not to be faulty shall not be entitled to a refund of the shipping and handling costs incurred during the sale and in addition 15% restocking charge applied if a refund is required. Shortages and wrong delivery of items should be reported within 7 days of order receipt after which time corrections may not be possible. Returns must be clearly marked on the outside with the RMA# number. Goods returned with an RMA# will take approximately 5 business days to be processed whereas goods returned without an RMA# will be subject to £7.50 handling charge and take up to 21 days to process. Where you have informed us in writing that you wish to cancel your order in accordance with our Terms and Conditions of Sale, refunds may take up to 21 days to process. You are obliged by law to take reasonable care of the goods whilst they are in your possession. If you return your goods or if you have informed us in writing that you wish to cancel your order in accordance with our Terms and Conditions of Sale you should return the product with original sealed packaging, together with all manuals, warranty cards and all accessories and documentation provided by us or the manufacturer. Where you return goods to us, you may wish to consider insuring the goods that you are returning. We also suggest the use of a carrier that can provide a ‘proof of delivery’. 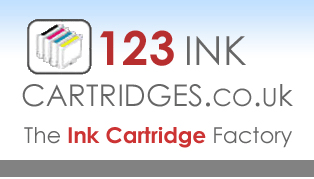 The customer is responsible for shipping back cartridges to 123 Ink Cartridges. Clearance/End of line items may be returned subject to obtaining an RMA number or you may inform us in writing that you wish to cancel your order within 7 business days of receipt of the goods in accordance with the Distance Selling Regulations unless faulty, in which case they must be returned within 14 days of the shipping date or, where the fault does not become apparent until after this time, within 7 days of the date on which the fault became apparent upto a maximum within 30 days of shipping. Where goods are returned as faulty we reserve the right to return the product to the manufacturer for testing/repair or replacement. If this should happen then it is likely that the repair or replacement could take up to 21 days to process. In some cases we may advise you to contact the manufacturer directly as they offer tailored end user warranties and in some cases on-site replacement and are therefore better placed to resolve any problems. In the case of consumables (such as toner, ink cartridges, drum and paper) where the suitability/compatibility of the product is ascertainable without breaking the factory seal, and the factory seal is broken, this is likely to amount to a breach of your legal obligation to take reasonable care of the goods. Software that has been opened and is not defective cannot be returned in any circumstances. Unopened software may be returned in accordance with this returns policy. We will ship your replacement after we have processed your returned product. Alternatively, you may pay for the replacement cartridge(s) prior to return of the defective cartridge and be refunded upon the arrival, testing and outcome of the defective cartridge, this enables faster replacements and is your choice. Right to cancel: You can cancel and withdraw from your order at any time before the order is dispatched. No reason is necessary for the withdrawal, which may be given in writing (an e-mail will suffice). You may also return unopened complete orders of cartridges within 14 days of purchase for a full refund (although withholding a reasonable handling fee). This right will have been fulfilled if you acquire a Returns Merchandise Authorisation# before the expiry of this period. We simply ask you to contact our support team to obtain a returns "RMA" number before returning any items. Items returned without this number will not be opened, therefore refunds cannot be credited. Any items refunded without an RMA number will be subject to a £7.50 processing and handling charge. *We reserve the right to amend handling charges/refunds where applicable. The guarantee is given in accordance with legal requirements. Any additional guarantee statements are contained in our terms and conditions. Please read our full terms and conditions. We will never share any information about you, unless with your explicit consent. You can check the information that we hold about you by emailing us and paying a fee of £12. If you find any inaccuracies we will delete or correct it promptly. You are entitled to receive information and to amend, block and delete your stored data. Please contact us or send us your request by post.